Bugatti Veyron L’Or Blanc and Ferrari LaFerrari don’t see them every day, especially not each other, so what is then the chance to attend some of their collision in the parking lot? The driver of Veyron L’Or Blanc hit the LaFerrari in front of the hotel in Paris. 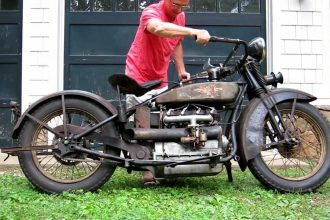 SWEET 1928 Henderson Deluxe First Startup!! !